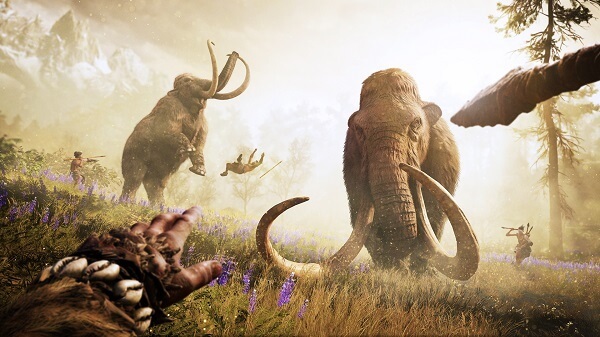 Far Cry Primal is set in the Stone Age, shifting the medium from fast vehicles, radio communications and high-end weapons to clubs, bows, and taming animals. Hey, it’s 10,000 BC, not only you’ll not find any Wi-Fi signal, but maintaining any form of warmth and light means all kinds of peril. Takkar, who is the protagonist this time around, is relentlessly searching for members of his Wenja tribe, which got lost. They have been scattered all across the Oros Valley, a dangerous plateau filled with blood-thirsty sabertooth tigers, woolly mammoths, frozen caves, swamps and forests. Takkar needs to rebuild his Wenja tribe, form a village, and, well, be the alpha male in 10,000 BC. As you form the new tribe, recruiting new warriors, shamans and whatnot, you’ll unlock new abilities, weapons and items. After you get used to all the animals roaming around, not having guns, grenades, and acquainted with the club and stone age, you’ll soon start to notice how Primal is just a skin to the traditional structure of the franchise. 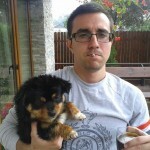 However, it improves the old tried and tested title, adding more substance, and a more enjoyable experience. 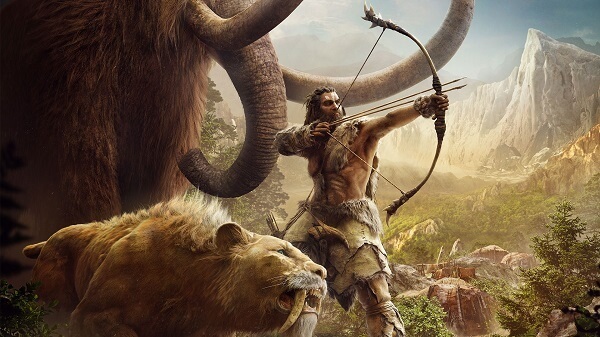 Far Cry Primal is available for Microsoft Windows, PlayStation 4, and Xbox One. You can buy Far Cry Primal from our recommended retailers GreenManGaming, Uplay, Steam – Amazon PS4 and Xbox One. Check our Game Deals and Promo Page religiously so you never pay full price for a video game ever again. Most of the peril arises from the world – aka mother nature wants you dead. You’ll still be in an open-world setting, with loads of outposts to capture, resources to find so you can craft upgrades, and weapons to unlock. Yet, this Stone Age setting adds more substance, and more paranoia, if you will, than past Far Cry titles. Ruthless animals don’t travel alone, but in packs. They’ll strike as a group, flanking your position, and pinning you down faster than you can say reload save-game. The day and night cycle really adds an abundant tension as predators come to play when the Sun God goes to sleep – and if huge numbers of animals won’t make you wish you would’ve just forgotten about the Wenja tribe all-together, their passion to make you bleed will. Even after more than 10 hours in the game, I still travel at night with a lump in my throat, hoping that perhaps I’ve just brought enough animal fat to ignite my torch so I can deflect any beasts coming my way. The focus is survival, and it shouldn’t be anything else really. It’s the Stone Age, where travelling to the northern cold-riddled wastes is a death sentence if you don’t have the appropriate gear and items. Taking a trip to the swamps means that you should definitely stay away from the water if you want to stay alive. There’s a really great balance between the tension of surviving and the fun that comes with actually making it through the day. You’re not a walking titan, shooting enemies left and right, tossing grenades and gleefully moving on to the next outpost. No, you’re a lone wanderer, you’re like Connor MacLeod, but without Cristopher Lambert’s charisma and powerful sword – albeit cringey at times. You against mother nature… and others.